BMW Forum - BimmerWerkz.com > General Category > Wash & Detail > Is this normal wear and tear? Is this normal wear and tear? 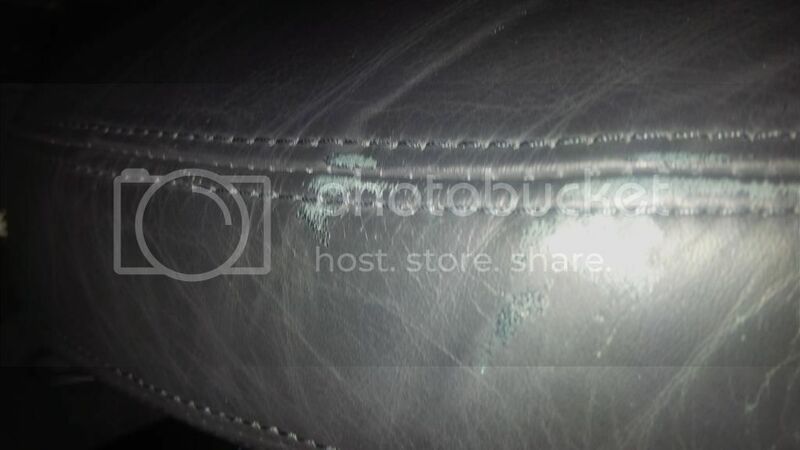 With only 15,000 miles the driver seat starts showing wear like this, on a 2013 m3 lime rock park edition. It is only along the seam of the left side flap on the driver side, near where I enter and exit the door. Any ideas about how to care for this? Are there any sort of partial seat cover or anything else I can to to protect it? I can't believe that this is the state after a year and a half, just from getting in and out of the car. Last edited by Vsevolod; 09-12-2014 at 08:37 PM. Have you covered the seats of your vehicle with proper seat covers. If yes, then it may be of not good quality. If otherwise the best way to stop it further is to use seat covers, as it will protect further wear and tear of original seats. No, I don't use a seat cover. Nor should I have to -- the seat should be designed to handle a normal amount of use and not wear out. Seat covers are cheesy. What next, plastic covers on home furniture? You can order the 3M Leather and Vinyl Repair Kit from Amazon. Use it to fix leather and vinyl tears, burns, and cuts. It is because of loose quality of leather. You must visit dealers from whom you get accessories fitted in your vehicle. This is not an accessory -- this is the stock seat which came with the stock Lime Rock Park M3. This is because of inferior quality of material being used. While driver seat is being continuously used, therefore it shows it's effect on that part. Still if you have any doubt you can visit to your dealers and bring the same to their notice and this will remove your doubt also.